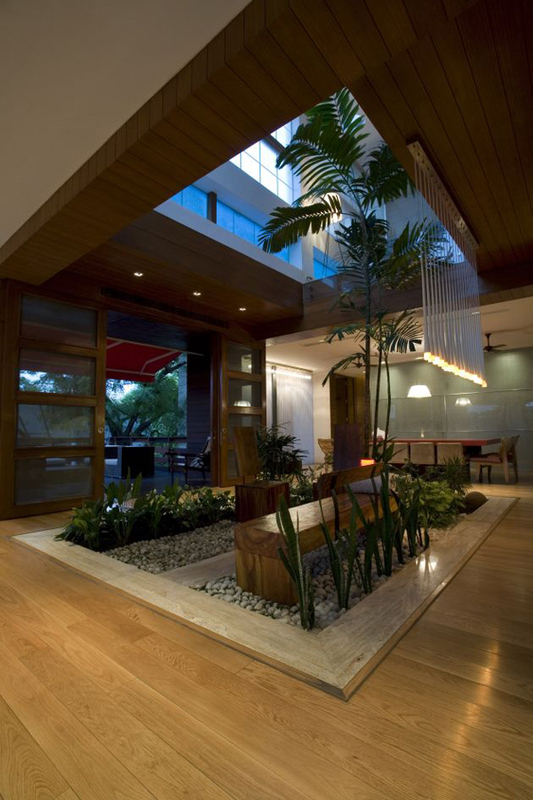 It is indeed nice to add a Zen feel to a home may that be in the exterior or interior. Some even do that to a certain space of the house like the bathroom or the bedroom. But it would even be nicer if we add that kind of feel to all areas of the house. 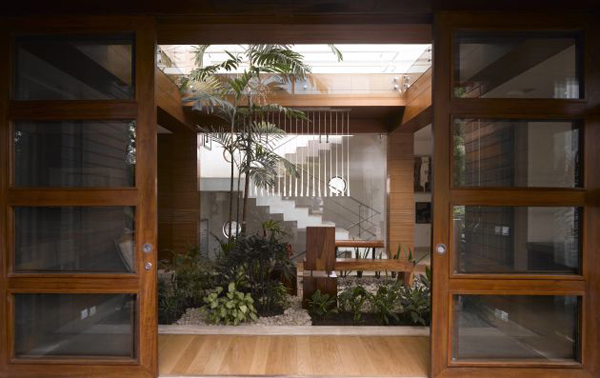 And yes, you can still bring a Zen aura even to a modern house. Just like the N85 Residence that we will feature today. 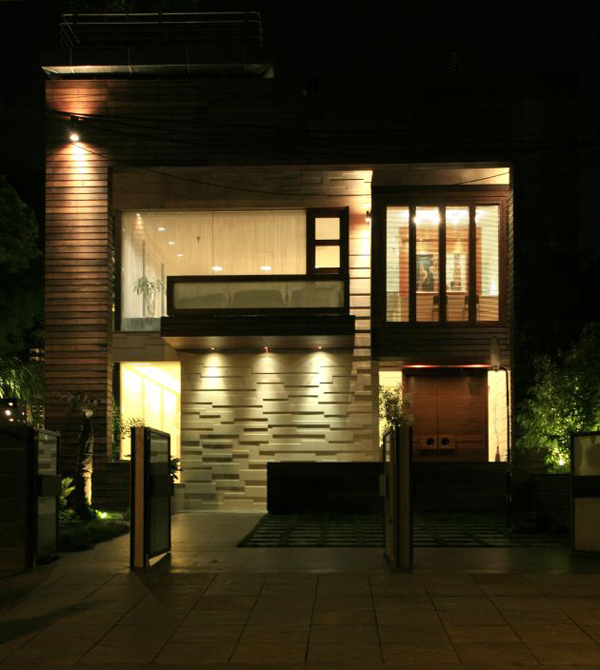 This modern Zen infused home is located in New Delhi, India. Its design is based on the new spatial needs and notions of comfort brought by new technology. The house is set to create a terrain of its own and a veritable oasis in its territory. 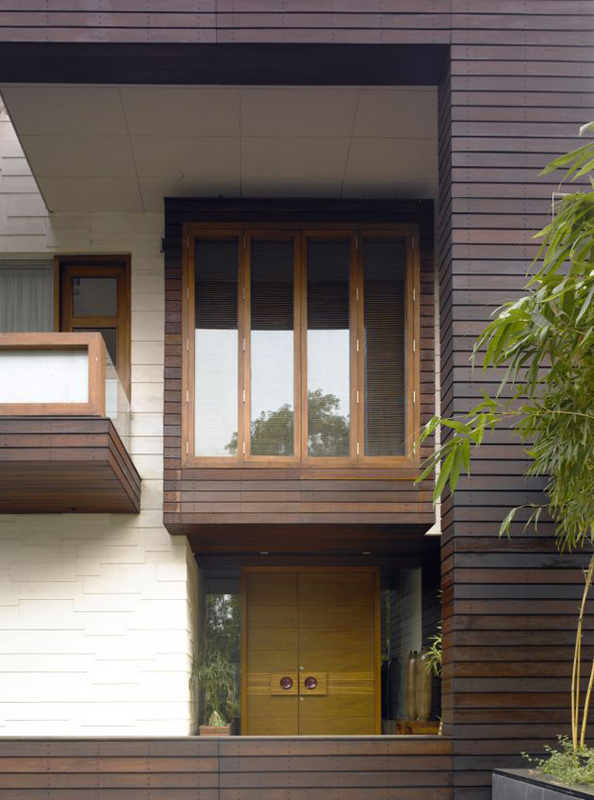 Materials used in the house are stone, wood and concrete which give it a crisp clear geometric appeal. 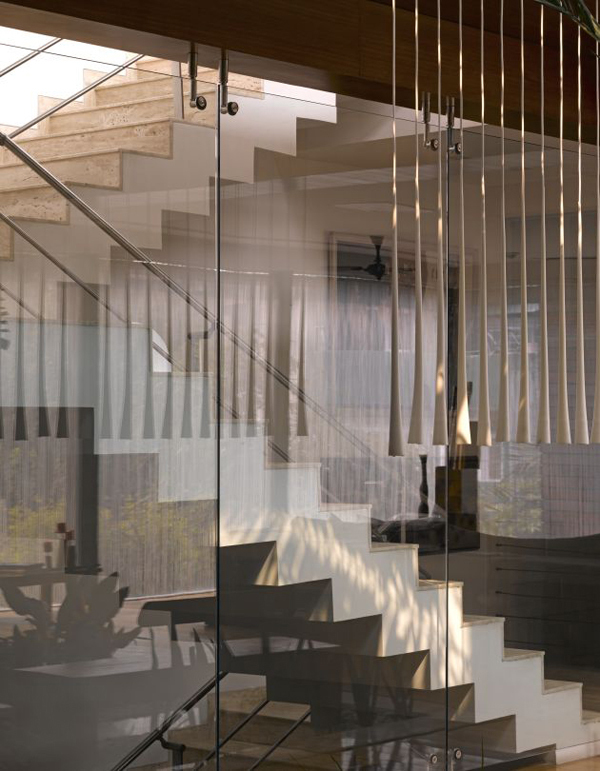 There is also a good usage of glass to allow openness in the area. 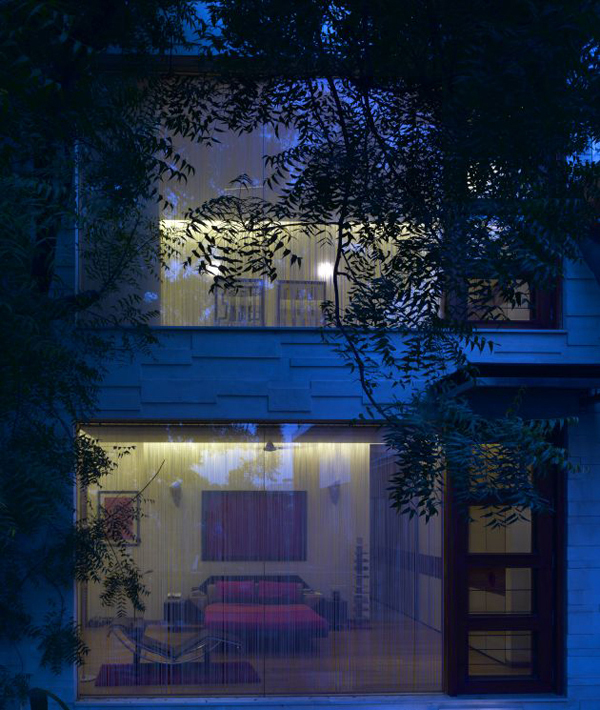 Aside from glass, what adds to the home’s transparency is water, reflection and modulated lighting. You will see that in the images of the house which we will feature below. 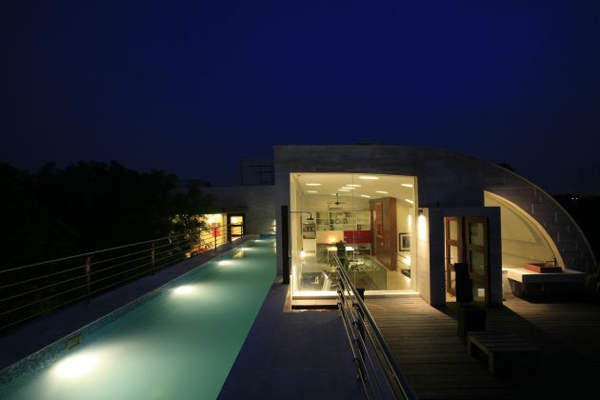 The long narrow pool as well as the beautiful lighting add drama to the this area of the house. 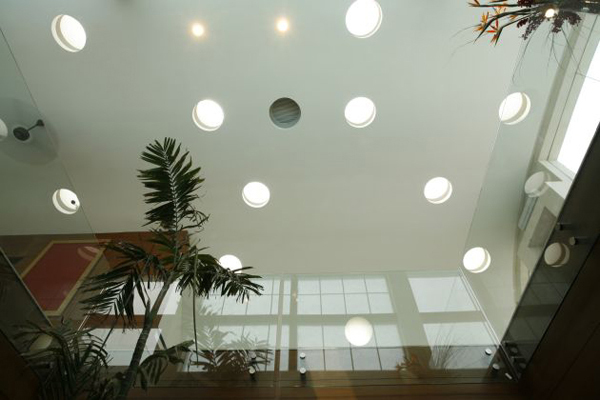 Inside, you will be amazed to see an indoor garden that opens upwards giving it the impression of being open to sky but of course it is under the roof. This is a beautiful area to relax and unwind. The open area will let you see the lovely usage of glass for the railings of the second floor area. Seen here are the lights on the ceiling that illuminate the whole space. 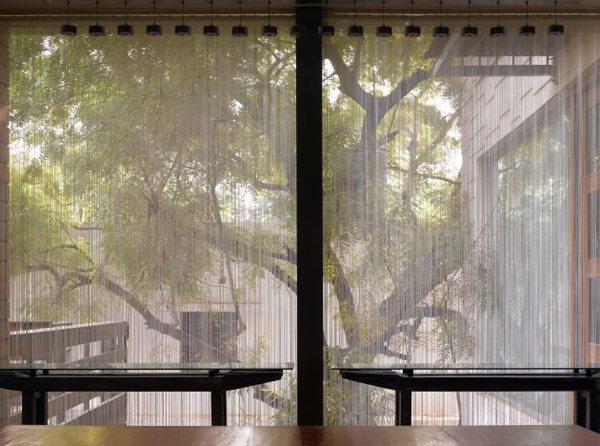 The house may look transparent but with the added window treatments, one’s view is interrupted a bit. This is the facade of the house. It sure has a modern design but is already giving you hints of its Zen quality. 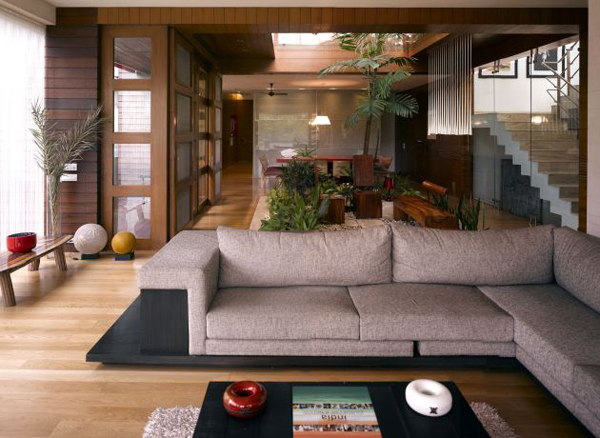 The interior is elegant while maintaining that modern Zen feel. You can see that in the decors too. 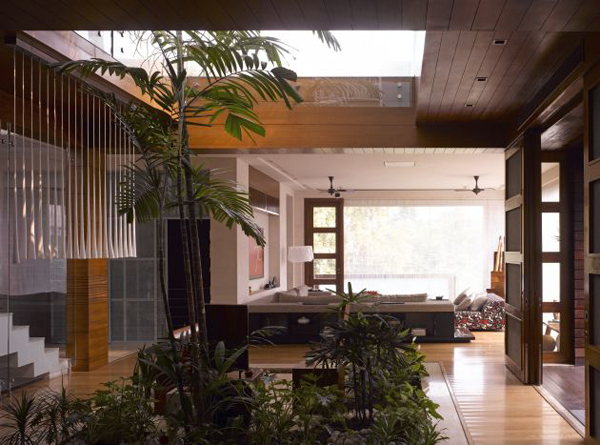 Plants are everywhere in the house allowing nature to take in. In this view you will see the white stairs that is almost sculptural in design. A closer look at the stairs that have glass details too. When I first saw this picture, I was reminded of Japanese pergolas which could have inspired the design of this furniture. 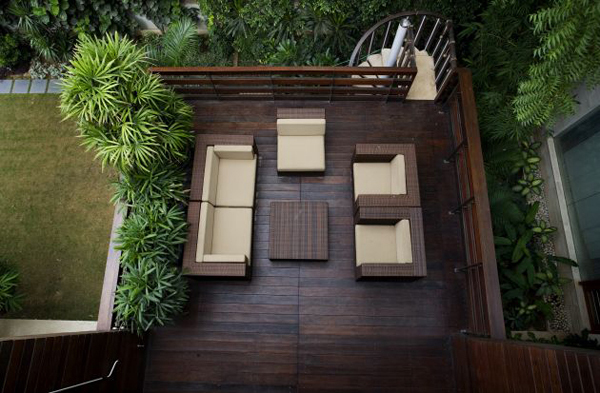 A wooden decking was used for the terrace that has wicker furniture in it. What a neat and relaxing space! In this picture, you will see hinged windows used for the house. It matches well with the modern Zen concept. 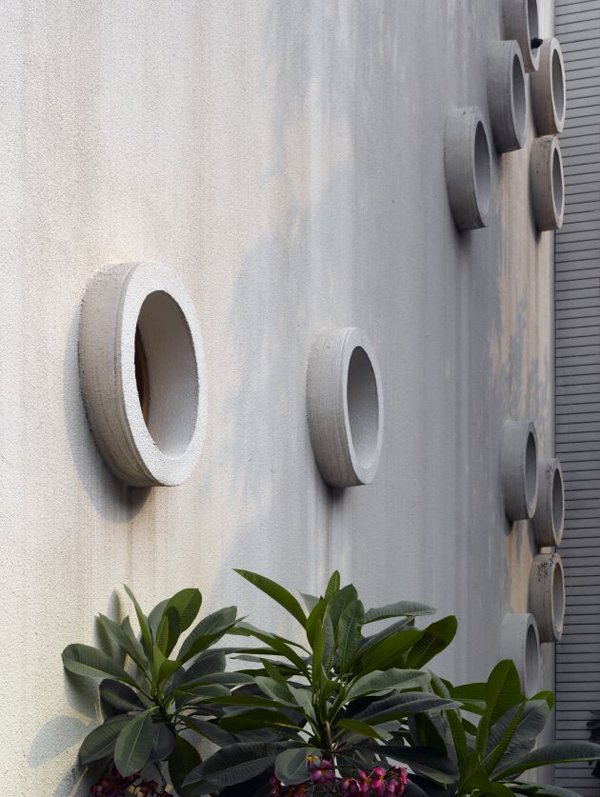 In the landscape area, there are round concrete designs on the wall. I’m not sure if this is just decorative or a here for a purpose. The house is intended for three generations of the family that is why it includes spaces for visitors, workspace and even a cultural hub. Its design has three levels that includes a private area for the bedrooms and breakfast room, shared spaces like the family room, kitchen and dining areas, and a fluid public domain which is the lobby and living spaces. 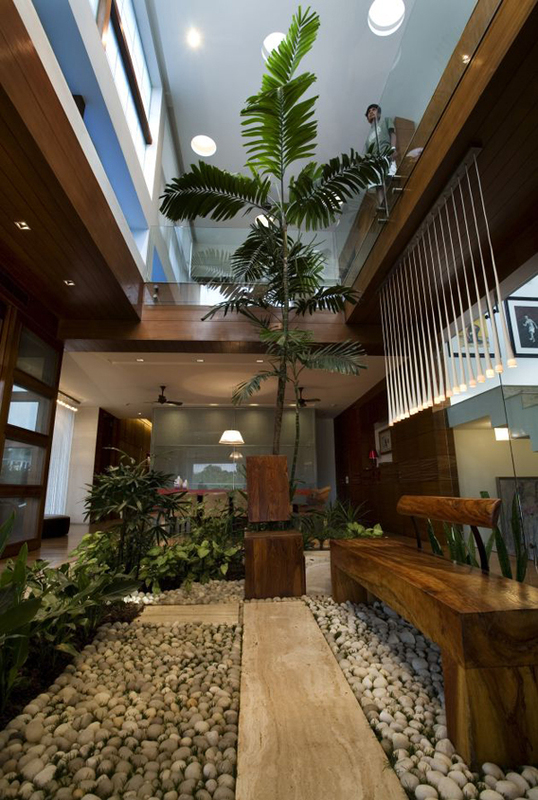 Indian architectural studio Morphogenesis designed the house and was obviously successful in creating every single space in the house including the architecture and landscaping.